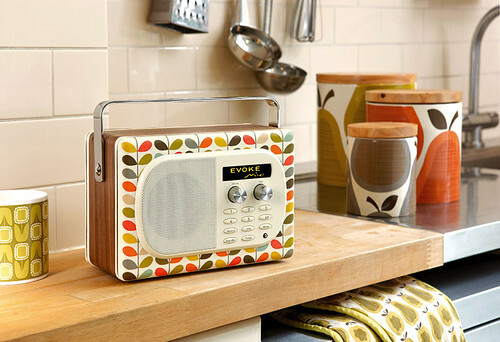 I already have a lovely radio in my kitchen but after seeing the brand new Evoke Mio radio designed my Orla Kiely my heart started to race. Isn't this lovely!? I still will stick with mine but this is great. 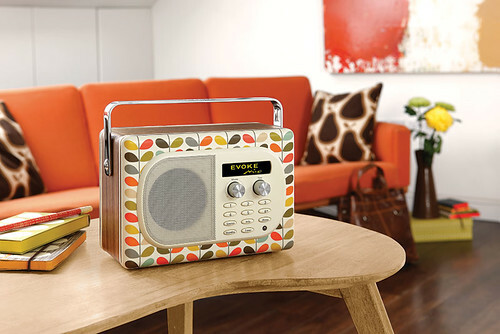 The digital and FM portable radio features the signature stem print that she is known best for and is finished with a chromed handle and walnut veneered cabinet with cream.The radio has an optional ChargePAK that gives you up to 24 hours to listen to music between charges. "It is packed with features too, including digital and FM radio, an input for your iPod/MP3 player, Intellitext and textSCAN, a striking auto-dimming OLED display, an alarm, a kitchen timer and a USB connector for future product upgrades." 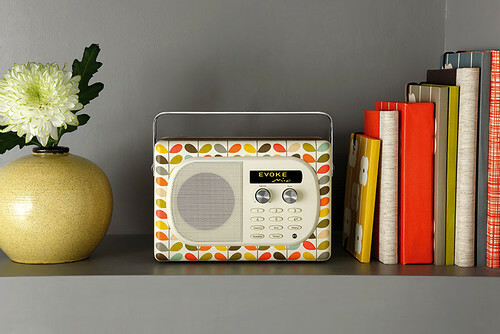 The EVOKE Mio by Orla Kiely will be available exclusively at John Lewis from early November and at independent retailers from March 2011 -- I think you can get it at her Covent Garden store soon too.